George Crowley, Ray Denmon, Mayor Jimmy Palmer, Al Edwards and Jackie Palazzolo form the City Council. See Mayor Palmer's "State of the City" Address from the the Chamber's February 23 Booster Breakfast. 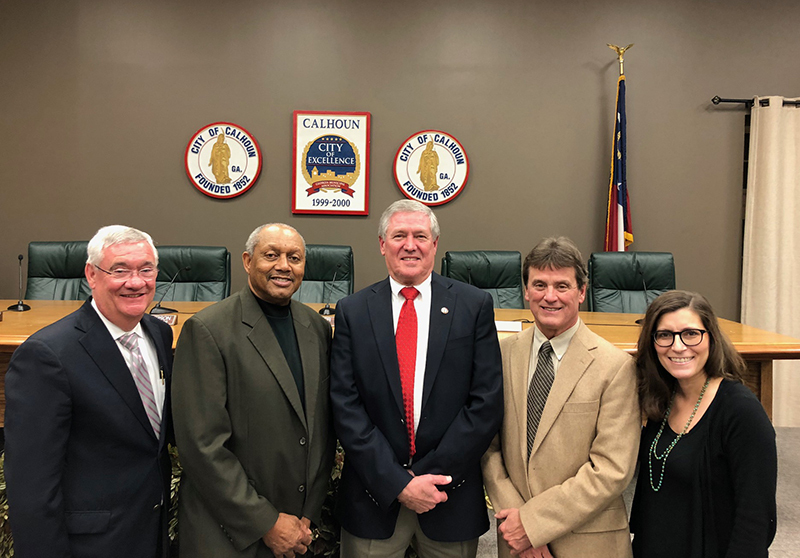 The City of Calhoun is a legacy sponsor of "Keep It In The County", the Chamber's shop-local campaign that was launched in 2009.